Memorizing vocabulary lists. . . blech! As my students read, they write words on sticky notes: words they are unsure of, feel are important, or words they just like! After sharing their words with the class, we decide which ones we feel are crucial to understanding the story/book. Next, I take those words and turn them into visual vocabulary cards: with the word and a picture to represent the definition. We also use these for category sorts (parts of speech or characters, setting, theme), which we keep in a pocket chart. We reviewed words from Pasquala: the Story of a California Indian Girl by Gail Faber & Michelle Lasagna. It’s one of my FAVORITE novels about California history!! (But there are a lot of unfamiliar words due to Yokut Indian names and words, as well as many Spanish words from the mission) My students loved reviewing this way and learned to ask specific questions to narrow down which card was on their headband. 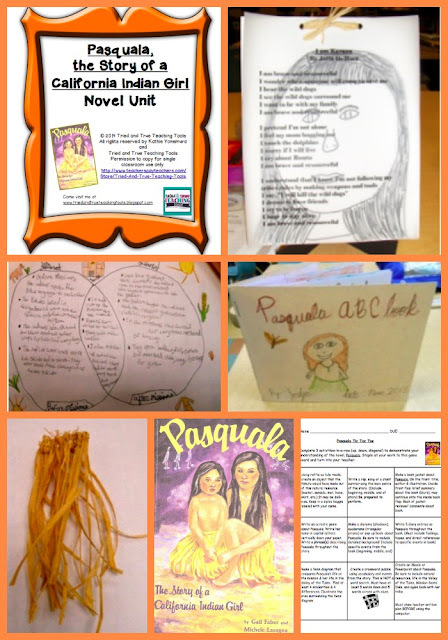 If you’re interested in reading Pasquala with your class, check out the novel unit here. We will definitely be using these headbands for other content review, too! 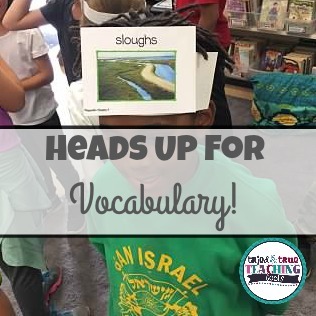 How do you review vocabulary with your students?